Funeral services for Robert S. Allen Jr., age 41, will be held Saturday, January 26, 2019 at 10:00 a.m. at the Rose Creek Longhouse in Worley, Idaho. A Rosary will be held Friday evening at 7:00 P.M. at the Rose Creek Longhouse. Father Peter Byrne will officiate at the services and burial will follow at the DeSmet Mission Cemetery. Mr. Allen died Tuesday at his home in Plummer, Idaho. Robert Stephen Allen Jr. was born on March 30, 1977 at St. Maries, Idaho to Robert S. and Alida (Winnemucca) Allen Sr. He grew up in northern California and Idaho. He graduated from Willits, California High School in 1995. Robert married Raven C. George on April 5, 2016 in Idaho and the couple made their home in Plummer, Idaho. Robert worked as a gaming inspector for the Coeur d’Alene Casino in Worley for several years. He had been disabled for the past few years. He was a member of the Coeur d’Alene Tribe. 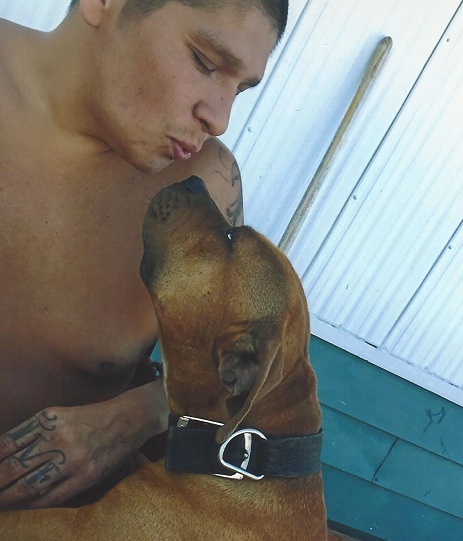 He loved animals and was especially close to his dog Bishop. Survivors include his wife Raven Allen of Plummer, Idaho; two children, Ashley Allen of Ukiah, California and Aiyana Allen of Plummer, Idaho; his sister, Rebecca Allen of Plummer, Idaho; and his parents, Robert and Alida Allen Sr. of DeSmet.